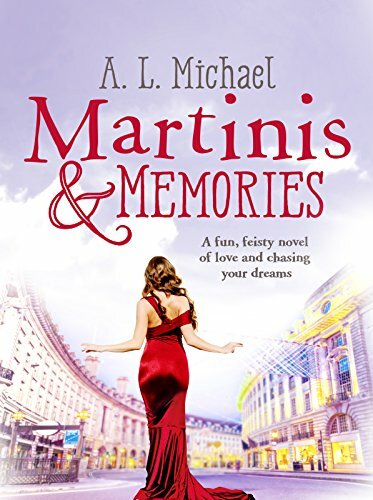 Martinis and Memories is the strong and empowering finale of the Martini Club trilogy. However, when Bel’s husband, Euan, walks into her burlesque, the Martini Club, she worries what his motivation is. Does he feel he should get a cut of her business? She walked out on him ten years ago because he was a deadweight on her dream of success. She certainly can’t afford to support him now. Business is down in the Club due to the downturn in the economy. Bel even had to tell her mother, Anna a former ballerina, that she needs to reduce the money that she sends her every month. However, when Anna shows up at her door saying living together would save money and be fun, Bel responds with dread that her mother’s perfectionist dragon mom persona will return. Bel has remade herself three times. First, by running away with Euan. Second, by running away from Euan to open the Martini Club. Will either her mom, her husband or her money troubles force her to recreate herself again? If so, will she steal away with no warning as she had done in the past? Bel is a genuine and sympathetic character. The setting within a London burlesque club is original. However, Anna and Euan seemed flat and one-note to me. I couldn’t get a clear read on their underlying motivations. Both just seemed selfish and shallow. Martinis and Memories is a great beach read that will lift you out of your summer doldrums. Bel’s story is full of abrupt changes for the better and will surely motivate readers who may need to make some changes in their own life. There is a delicious recipe for a vodka espresso martini at the back of the book. The book does contain some strong language so it may not be appropriate for younger teens. 4 stars! Thanks to the publisher, Canelo, for an advanced copy.